Rare books, learn how to find, buy, and collect them. So you’re interested in First Editions? A First Edition refers to the original publication of a book and is usually used synonymously with the First Printing. When building a collection of significance, why should you acquire First Editions? Because you can’t afford to collect reprints. While a reprint can always be followed by another reprint, a First Edition cannot be republished as First and will consequentially always be valued higher as a reprint of the same. Most major areas of collecting have their standard reference bibliographies to support the most successful collections and libraries by helping to identify the desired and sought after first releases and the attributes of text or binding of landmark publications. Contact us for advice on the best bibliographies to identify First Editions for your collection. Even if you're brand new to the world of antiquarian books, you've undoubtedly noticed that first editions are the trade's gold standard. Indeed, first editions often fetch much higher prices than later editions, even if the books seem exactly the same to the untrained collector. But as you build your rare book collection, you can't afford not to collect first editions. Publishing a book requires taking a calculated risk. What if the book gets panned by the critics? Or what if it simply languishes undiscovered, receiving neither critical acclaim nor derision? To mitigate this risk, publishers often choose to publish a book in only small numbers at first, and then issue reprints if the title proves commercially viable. Thus first editions are often available in much more limited numbers than subsequent editions. This is especially true for authors' first works, because they have no reputation of literary success. Generally authors are quite involved in the publication process. Therefore the first edition of a book often represents the version that's closest to an author's original intentions. We find a classic illustration of this idea with Ray Bradbury and Farenheit 451. In the Afterword to a much later edition of his famous novel, Bradbury writes, "Only six weeks ago I discovered tha, over the years, some cubby-hole editors at Ballantine Books, fearful of contaminating the young, had, bit by bit, censored some 75 separate sections from the novel." The differences, then, between the first edition and subsequent ones truly represent a departure from Bradbury's concept of the book. The opposite may also be true. Consider Charles Dickens' Great Expectations. The first edition, published in 1861 has one ending, which is quite melancholy. When Dickens' colleague and confidant Edward Bulwer-Lytton read the manuscript, however, he urged Dickens to change the ending. Dickens complied, and the 1862 edition got a new ending. In this instance, serious collectors would strive to attain both the 1861 and the 1862 editions of Great Expectations. Dickens was certainly not the only author to change his work between publishing runs--Henry James, for instance, was notorious for changing his works between print runs. Even if you're a novice collector of rare books, you've undoubtedly heard about the importance of identifying first editions. Generally first editions were printed in smaller numbers, making them more scarce. Furthermore, there's a certain allure to having the "very first" of something. Because first edition identification is critical to building a rare book collection, it's important to invest in at least a few useful resources. Compiled by Bill McBride, Pocket Guide to the Identification of First Editions is indispensable when you're browsing at book fairs, garage sales, or antique stores. It lists the methods that English-language publishers have used to identify first editions, both hardbound and paperbound, past and present. As there are myriad ways to indicate a book's edition, and each publisher's method has its own nuances, you'll often see even the most seasoned book dealers consulting the Pocket Guide on occasion. Edited by Edward N Zempel and Linda A Verkler, the fourth edition of First Editions: A Guide to Identification is much more than a handy pocket guide. It's a comprehensive guide to the first edition identification statements of selected North American, British Commonwealth, and Irish publishers. First Editions includes only information obtained directly from the publishers themselves, "from the horse's mouth" as it were. It holds all the statements from the first, second, and third editions of HS Boutell's First Editions of To-day and How to Tell Them (1928, 1937, and 1949) along with those from A First Edition? (1977) and previous editions of First Editions: A Guide to Identification (1984, 1989, and 1995). Note that these first edition guides primarily focus on books published in the twentieth century and later. They also don't offer guidance on differentiating, for instance, between the first state and later states of a book--both of which may still be considered first editions. And some desirable editions of books will be published by small presses--which aren't included in standard resources. That's why it's critical to obtain a bibliography for your area of focus. For instance, collectors of Charles van Sandwyk rely on the Interim Bibliography published by Heavenly Monkey in 2000. Nowhere else will you find information about identifying van Sandwyk's first editions, and this bibliography is a collector's item unto itself. Bibliographies can also address broader subjects. Jacob Blanck's Bibliography of American Literature represents a definitive resource, and you'll frequently find references to "BAL" in book dealers' descriptions. It's a truly exhaustive work, published in multiple volumes by Oak Knoll Press. Some collectors obtain only the volumes that contain information on the authors that interest them, while others get the entire set. You'll also find much more specialized bibliographies, such as Bibliotheca Mechanica by Verne L Roberts and Ivy Trent, considered the authoritative bibliography on early engineering and mechanics. A Matter of Taste, a comprehensive bibliography of the international collection of books on food and drink housed at the Lilly Library at Indiana University. It includes books on gastronomy, wine making, and a number of other topics relevant to collectors of antiquarian cookery books. Just about every area of specialization has its own bibliography. The ubiquity of the internet has substantially changed the world of rare book collecting. There's a wealth of information available to collectors on the internet, including our own library of downloadable guides. In our resource library, you'll find guides on rare book care and restoration, along with collector's checklists for Newbery- and Caldecott-winning books, guides for collecting first editions from modern publishers, and much more! Textual differences: It's common to correct typographical errors from the first edition, for instance. Or, as we mentioned above, the author may make more substantial changes to the text. Materials used: The first edition may be bound in a different fabric, or the later editions might be printed on a different (usually less expensive) paper. Format: The first edition may contain more or fewer pages than the later edition. It could also lack a foreword, afterword, or other ancillary materials that are added later. It's also important to understand the difference between first issue and first state. A point of issue refers to a change made after copies of the book already entered circulation. Differences in state occur when changes are made to a book before any copies are circulated. For example, if a publisher identifies a typographical error during the initial printing process, it may be corrected mid-print. (This was much more common in the days when books were still printed manually using moveable type.) So books that are first edition/first state would contain the error, while first edition/second state copies would lack the error. After about 1900, many major publishing houses started adopting conventions for identifying first editions. If you collect rare books, identifying first editions is an important skill. Each publisher has developed its own own conventions for denoting first editions/first printings. 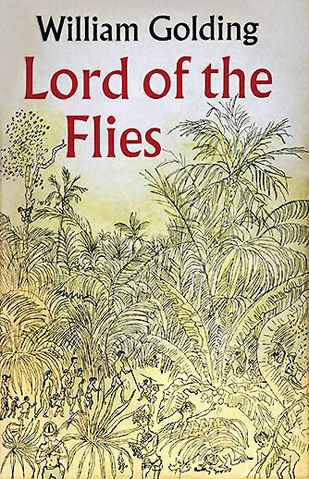 Alfred A. Knopf, Inc. is an excellent example of a publishing house whose style of indicating first editions has stayed relatively consistent over the years, which isn't always the case. 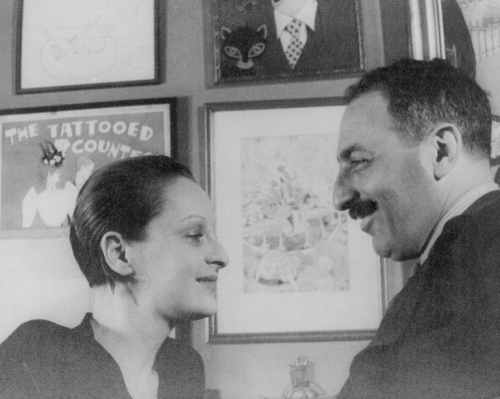 Alfred and Blanche Knopf founded Alfred A. Knopf in 1915 and incorporated three years later. Alfred served as president, while Blanche was vice president. The couple traveled extensively, soon earning a reputation for publishing not only excellent American writers, but also authors from Europe, Asia, and Latin America. To date, their roster of authors includes nearly 50 Pulitzer Prize winners and more than 15 Nobel laureates. In 1923, Knopf began publishing periodicals. The first, The American Mercury, published some of the most influential writers of the 1920s and 1930s. Knopf published the magazine until 1934. Meanwhile Borzoi Quarterly came into existence as a means for promoting new books. The borzoi has always been the icon of the publishing house. Random House acquired Knopf in 1960, and it is now part of the Knopf Doubleday Publishing Group at Random House. Publishers generally issue statements about how they indicate first editions. Alfred A. Knopf is no exception; the house has issued a total of nine statements since 1928. 1915-1933: For each printing after the first, the words "Second Printing," "Third Printing," etc. are listed on the copyright page. The first printing is not indicated in this way. Books reprinted before publication date include a note such as "First and second printings before publication" on the copyright page. 1933/1934-1947: During this time, Knopf transitioned to include more information on the copyright page of first editions. The changes were outlined in their 1936 statement. They began including the words "First Edition" or "First American Edition" on the copyright page where applicable. The latter was used only when the book had already been published abroad (regardless of the language used for publication). Subsequent statements have reiterated that Knopf has not changed its identification methods for first editions. The 2000 statement added that Knopf was now a division of Random House, Inc, rather than its own corporation. The English house, which was discontinued in 1930, followed a different convention. They would place the month and year of first publication on the verso of the title page. Further impressions include the impression number and further editions by the edition number. Now that you know how to identify their first editions, find more than thousand Alfred Knopf publications, including first editions of Nobel Laureates like Gabriel García Márquez or Toni Morrison, vampire novels of Anne Rice, presidential bibliographies by US presidents, cook books by Julia Child. Since its inception in 1897, Doubleday has been a powerful presence in the American publishing landscape. Collectors often encounter books from the publishing house, so it's useful to know a bit about Doubleday's history and how to identify its first editions. Brooklyn native Frank Nelson Doubleday developed a love for publishing at an early age. By the time he was ten years old, he had already saved up money to purchase his own printing press. To recoup the cost, Doubleday sold advertisement space in the news circulars he printed. Doubleday's father was a hatter, and when his business failed, Doubleday was forced to leave school and find a job. He was only fourteen years old. Doubleday's love for publishing led him to Charles Scribner's Sons, where he started out making $3 per week. Eighteen years later, Doubleday was still there, working as the publisher of Scribner's Magazine and as head of the subscription book division. But by 1897, Doubleday's relationship with Charles Scribner's Sons had headed south, and he was ready for a change. He partnered with magazine publisher Samuel McClure to start the Doubleday and McClure Company. The following year, at the urging of banker John Pierpont Morgan, Doubleday and McClure accepted a contract to manage Harper and Brothers. Doubleday immediately delved into the company's records, only to find its finances in shambles. Between the Panic of 1893 and the extension of copyright law to foreign authors (legislation that Charles Dickens had fought so hard for! ), Harper and Brother's was struggling. Ultimately, Doubleday, McClure, and Morgan decided to call the deal off. That failed business venture and other issues had put significant strain on the relationship between Doubleday and McClure. Thus, on December 31, 1899, the two dissolved their partnership. Doubleday invited Walter Hines Page, of The Atlantic Monthly, to join him and changed the firm's name to Doubleday, Page and Company. Page would remain with the organization until 1916, when he was named U.S. Ambassador to Great Britain. In 1921, British publisher William Heinemann passed away unexpectedly without leaving an heir. Doubleday bought a controlling interest in his publishing business, knowing that it would be advantageous to expand his influence to the British publishing world. Ever the anglophile, Doubleday developed close friendships with a number of prominent authors and publishers, most notably Rudyard Kipling, whose The Day's Work was one of Doubleday's first bestsellers. It was Kipling who gave Doubleday his nickname, "Effendi," from his initials, "FND." Doubleday would also become close with Mark Twain, James Barrie, Alfred Harcourt, and others. After meeting John D. Rockefeller, Doubleday was asked to contribute to the magnate's autobiography, though it's not certain whether he ghostwrote the book or merely edited it. Doubleday, Page and Company merged with the George H. Doran Company in 1927. They became Doubleday, Doran and Company—and the largest publishing house in the English-speaking world. Almost twenty years later, in 1946, the firm became Doubleday and Company. Nelson Doubleday stepped aside as president and CEO, but he remained Chairman of the Board until he died in January, 1949. In 1986, Doubleday, Duran and Company was sold to Bertelsmann. Two years later, it became part of Bantam Doubleday Dell Publishing House. In 1998, it became a division of Random House. Then at the end of 2008, Doubleday merged with the Knopf Publishing Group, to form the Doubleday Knopf Publishing Group. 1927-2000: The words "first edition" appear underneath the copyright notice, which can be found on the back of the title page. The year when the publishing house began to follow this convention is unknown. 2001: Following Doubleday's merger with Random House, the previous convention still applies, with one exception. The printline is included on the first print as well. Subsequent printings omit "first edition" and include an updated print line. According to their 2001 statement, the publishing house follows the convention of Transworld Publishers, Ltd (United Kingdom): the lowest number in the number line indicates the printing. That practice applies to all the publishing house's imprints, such as Bantam, Black Swan, Corgi, and Doubleday. In 2000, Transworld Publishers merged with Random House Australia Pty Ltd, but retained two separate publishing divisions. Both essentially state the year when a title is initially published and subsequent editions. Both divisions also indicate impressions with a printline at the bottom of the copyright page (numbers 10 through 1). The smallest number is deleted with each reprint. George T. Dunlap and Alexander Grosset began Grosset & Dunlap in 1898. The two men founded the publishing house on the premise that books should be inexpensive, accessible items in a time when many publishers were producing expensive volumes. Their laudable idea was tarnished by the fact that the publishers founded their business on piracy—in their early years, they reprinted existing books (without authorization) in order to avoid paying royalties. From their inception, Grosset & Dunlap operated largely—although not exclusively—in reprints. They would also buy paperbacks in bulk, rebind them in cloth, and sell them at higher prices. Eventually other publishing houses began intentionally printing too many books with the express intention of selling the excess to Grosset & Dunlap. However, Grosset & Dunlap did print original books, most notably the Nancy Drew, Hardy Boys, Bobbsey Twins, and Lone Ranger series. They were also famous for their photoplays, including that for King Kong. Many of their most famous books were produced in partnership with the Stratemeyer Syndicate. In 1979, the Stratemeyer Syndicate opted to work instead with Simon & Schuster, inspiring a long court dispute over the publishing rights of previously printed texts. Grosset & Dunlap won the right to continue printing existing books, especially the heavily disputed Hardy Boys series. In 1982, Grosset & Dunlap was acquired by G. P. Putnam’s Sons and now they are owned by Penguin Random House. First edition identification for Grosset & Dunlap conforms to that of The Putnam & Grosset Group. First editions are not explicitly specified but must instead be surmised through the publication date on the copyright notice. Subsequent printings are also unspecified. If reprintings include new copyrighted material, there will be a new copyright date as well as the original copyright year. Some books include a print code in letters or numbers in which subsequent printings are indicated by the absence of early numerals or letters. For titles that have never been out of print, a line is included indicating which printing it is, although not including the date. For books originally published outside of the United States, their original copyright year is stated as well as that of the first American edition. Philomel Books and G. P. Putnam's Sons, a division of The Putnam & Grosset Group before their acquisition by Penguin Random House, did specify first editions with a code and the words "First Impression for all first editions." Since its inception in 1838, G.P. Putnam's Sons has grown into one of the most respected—and controversial—publishing houses in the United States. In 1996, the publishing house became an imprint of the Penguin Group and continues to publish the works of outstanding authors of both fiction and non-fiction. Founder George P. Putnam passed away in 1872, leaving his heirs to run the firm. They renamed it George P. Putnam's Sons. George H. Putnam took on the role of president, which he held for the next 52 years. Meanwhile, the second half of the nineteenth century held some interesting milestones for the firm. In 1880, the company accepted a 200,000-word manuscript scrawled in pencil on yellow paper. It was written by 19-year-old Anna Katherine Green. Published as The Leavenworth Case, the book helped establish the genre of the detective novel. The publishing house brought legendary authors like James Fenimore Cooper, Edgar Allan Poe, Vladimir Nabokov, Joseph Conrad, and Robert A. Heinlein to American readers. Today, as an imprint of Penguin USA, George Putnam's Sons publishes well-known authors like Tom Clancy, Clive Cussler, Patricia Cornwell, Sue Grafton, Amy Tan, and Kurt Vonnegut. The company has had more New York Times bestsellers in fiction and non-fiction than any other publishing house. 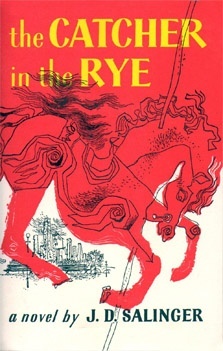 1928-1947: First editions are indicated on the title page with the words "First published" followed by the month and year. Later printings have a line underneath saying “Reprinted” along with the month and year. If the content of the book is changed significantly, this will be denoted with the words "Second Edition" on the title page, followed by the month and year. 1928-1959: The title page does not normally include any entry to indicate first editions. However, in subsequent printings the words “First printed” followed by the relevant dates appear under the copyright notice. Similarly, the other printings and their dates are included. The absence of this note indicates that a book is a first edition. The publishers avoid using the term "second edition" unless there is material difference from the first edition. For major publications that are reprinted annually, the date is omitted from the title page. 1960-1988: All editions other than the first include the words "second (or "third, "fourth,” etc.) impression" on the copyright page. The first edition is not noted. 1993-Present: G.P. Putnam's Sons began following the first edition identification conventions of the Putnam & Grosset Group. First editions are not identified except that the copyright page indicates the year of publication. Books that are reprinted include no indication of which printing they are. If a subsequent printing contains new copyrightable material, it will include both the new and the original copyright years. However, some books do include a letter or number code. For example A B C D E F G H would be a first printing. B C D E F G H would be a second printing. It's important to note that Philomel Books and G.P. Putnam's Sons carry a code in numbers along with the words "First Impression" for all first editions. In later printings these words are deleted, and the lowest number listed indicated the printing. Random House is the largest general-interest trade book publisher in the world. The publishing house was founded in 1927 by Americans Bennet Cerf and Donald Klopfer, who had acquired the Modern Library imprint from publisher Horace Liveright two years before. As for the name, Cerf said, "We just said we were going to publish a few books on the side at random," and Random House was born. The company entered reference publishing in 1947 with the American College Dictionary. Random House acquired Alfred A. Knopf, Inc in 1960 and Pantheon Books in 1961. Private German corporation Bertelsmann purchased Random House in 1998. Now the company has an entertainment arm, Random House Studio, for film and television, along with story content for video games, social networks, the web, and mobile platforms. In October 2012, Random House entered talks with Pearson plc about a merger, and the EU approved the merger without restriction, following the suit of the U.S. Department of Justice and the corresponding organizations in Australia and New Zealand. In 2017, Pearson sold 22% of its stake in Penguin Random House back to Bertelsmann. Random House has issued multiple statements regarding the identification of first editions. Conventions vary for different countries, as well. 1928-1935: Random House published only limited editions. Thus, all the necessary information was contained on the colophon because the first edition was the only edition. 1936-1975: For limited editions, all information was still contained on the colophon. Other first editions were plainly marked 'first edition' on the copyright page. 1976-2000: All first editions from Random House, AA Knopf, and Pantheon carry the words "first edition" on the copyright page. Random House also defined these as first printings. In some more recent publications, there may be a number line which in first and second printings begins or ends with a "2". For example, a book with the print number line "23456789" is a first printing with the "first edition" statement present, it is a second printing without the first edition statement present. 2001-present: Random House still follows the 1976 convention, as do Villard and Random House Trade Books. By 2001, Knopf and Pantheon had developed their own guidelines for identifying first editions. Random House Australia has issued only one statement, in 2000. The house changed its practices: they added a line that records 10 9 8 7 6 5 4 3 2 1. They delete the number starting at 1 for the first reprint, so the first edition/first printings are the only ones to have a "1." The words "First published" appear on the imprint page, and "Reprinted..." is added as necessary. The latest statement (2000) reiterated the continuation of this convention. Starting in 1994, the copyright pages of various imprints were standardized. On the copyright page appears 1 3 5 7 9 10 8 6 4 2. The "1" is deleted with the first reprint, the "2" for the next, etc. In 1999, Random House UK Limited changed its name to Random House Group Limited. The convention for identifying first editions was maintained and was also adopted for Random House Business Books. The New Zealand branch of Random House stated in 1995 that they have no way of identifying first editions and first printings, except that they do make note of subsequent editions or reprints. In 1913, the first crossword puzzle appeared in the New York World. The diversion was immediately popular. Richard L. Simon's aunt was a fan, and in 1923 she asked her nephew where to buy a book of crossword puzzles. That book didn't yet exist, and Simon decided to capitalize on the opportunity. After all, in previous years, books of Coué (1921), Mah Jong (1922), and Bananas (1923) had hit the market with astonishing success. Simon formed a partnership with M. Lincoln "Max" Schuster to publish crossword puzzle books, and Simon and Schuster was born. The duo decided to attach small pencils to their books as part of their marketing. To this day, Simon and Schuster remains the main publisher of crossword puzzle books. Michael Korda got his start at Simon & Schuster in 1958, as an editorial assistant who waded through the "slush pile." After rising to Editor-in-Chief, Korda published works by Richard Nixon, Ronald Reagan, William L. Shirer, and Will and Amy Durant. Korda is also a prolific writer in his own right. He's penned novels, memoirs, and non-fiction. Many of his works are histories, but he's explored topics as diverse as the life of Lawrence of Arabia and the hobby of watch collecting. 1944: Marshall Field III, owner of the Chicago Sun newspaper, bought both Simon & Schuster and Pocket Books. When Field passed away in 1957, his heirs sold Simon & Schuster back to its original founders, while Leon Shimkin and James M. Jacobson bought Pocket Books. Mid-1973-1980: Simon & Schuster used a string of numbers on the copyright page to indicate print number. Occasional exceptions are made, in which the words "First Printing" are spelled out on the copyright page. The date may also be included in these cases. In the 1976 statement, the publisher clarified the use of the word "edition," which they used in two ways: 1) to distinguish the binding style, such as when the book is available in both paperback and casebound editions; and 2) to indicate the version of the text. "Edition" therefore does not mean "impression" or "printing." The first number on the copyright page could be a "1," but the title or copyright page shows that the book is a revised or subsequent edition. 1981-present: The same conventions as above were used, with one important exception. Rather than printing the numbers on the copyright page in sequence, they sometimes appeared as "1 3 5 7 9 10 8 6 4 2." The lowest number shown indicates the print number. Macmillen Publishers of UK founded St. Martin's in 1952, naming it for St. Martin's Lane in London. The house was privately owned until the late 1990s, when it was sold to Holtzbrinck Publishers, LLC. This group of publishers, held by Verlagsgruppe Georg von Holtzbrinck, is a family concern that also owns publishing houses Farrar, Straus and Giroux, Holt Publishers, and Tor-Forge Books. 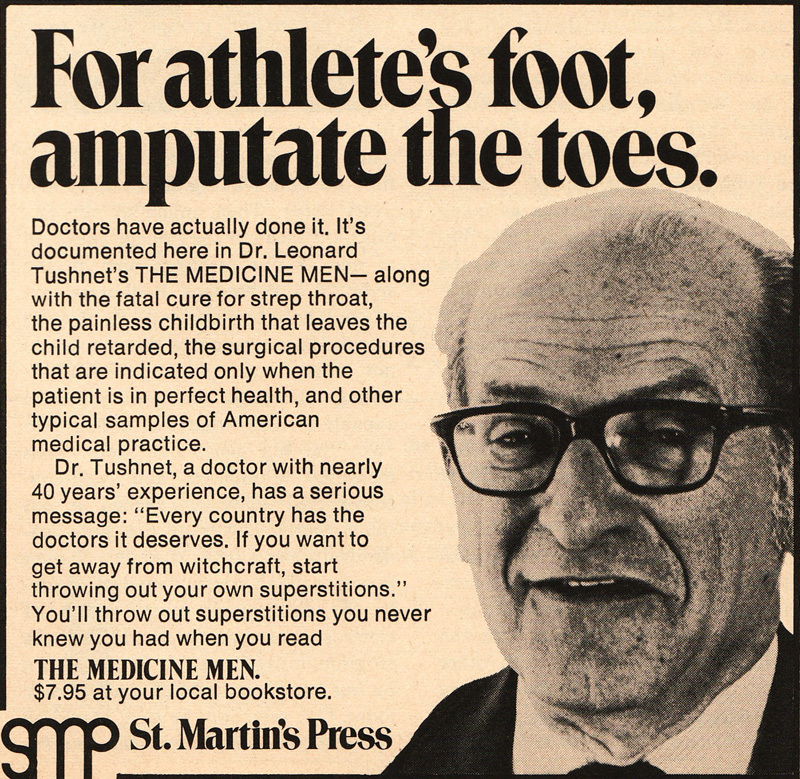 St. Martin's Press has published some interesting and controversial titles over the years. In 1981, the textbook division, Bedford-St. Martin's, was founded. Three years later, St. Martin's became the first major trade-book publisher to release its hardcover books through its own in-house mass market paperback company. St. Martin's Mass Market Paperback Co, Inc. was founded by Sally Richardson (who remained publisher until early 2018 when she became chairman), with the stewardship of then-President Thomas McCormack. Books first published in Great Britain as hardcover editions bear the words "First printed in (year) by (British publisher)"
Books first published elsewhere, then in Great Britain as hardcover editions say "First published in Great Britain in (year) by (British publisher). This edition published (year) by Pan Books Ltd.
Books first published outside Great Britain, then by Pan Books Ltd. directly bear the words "First published (elsewhere) (year) by (publisher) This edition first published in Great Britain (year) by Pan Books Ltd. Original works say "First published (year) by Pan Books Ltd.
Books completely lacking bibliographical information or that say on the title page only "First published (year) by (imprint)" are almost undoubtedly first editions. If a book bears the words "First published in (location)" or something similar, it's likely that either earlier or simultaneous publication occurred. It's generally evident when a book has been translated from another language. In the case of joint imprints (usually two associated publishers in different countries), simultaneous publication should be assumed. Where copies of the same edition are bound in both hard and paper covers, they were often but not always published simultaneously. But if the paperback appeared later, the year isn't always noted on the copyright page. Numerous publications have been acquired from elsewhere over the years, namely those of Julius Charles Hare (1856); Lord Tennyson (1884); Richard Bentley (1898); Thomas Hardy (1902); and WB Yeats (1916). Collectors should consult the relevant bibliographies for extensive information. The pre-Macmillan and US editions of Rudyard Kipling (both original and pirated) are well documented. The publication date of Lewis Carroll's Through the Looking Glass is often listed as 1871, though the edition is dated 1872. The actual publication date was December 11, 1871. In 2000, Macmillan Publishers Limited added that starting in 1996, they had begun the practice of marking printings and reprints with a row of numbers from 1 to 10. First printings had the "1" present in the string. They also added that the following imprints followed these conventions: Macmillan Press Ltd. (UK) (from September 1, 2000 rebranded as Palgrave Publishers Ltd.); Macmillan Children's Books (UK); Pan Macmillan (UK); Pan Macmillan UK imprints; Picador; Boxtree; Sidgwick; and Jackson. If you collect modern first editions, you have probably encountered Book Club editions pretty frequently. Collectors frequently ask whether Book Club editions are first editions, and whether these volumes have any additional value. Book Club editions are generally differentiated from trade editions, and some people collect specific trade editions. 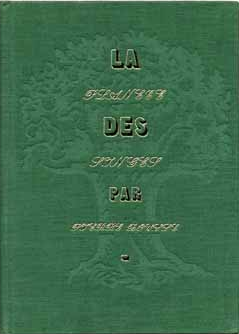 There are some notable exceptions in which the book club edition may actually be the first edition, such as with Pierre Boulle's La Planète des Singes (The Planet of the Apes), pictured at left, where the true first French edition of the original text is also the book club edition for Le Cercle de nouveau livre. But this is the exception, rather than the rule. For as long as books have existed, people have gathered to discuss them. These often ad hoc reading groups grew even more prevalent with the invention of the printing press, which brought books to a wider audience. Books were still expensive, so it wasn't uncommon for people to pool their money to buy a book to share. Eventually this trend would evolve into the formation of library societies. In the United States, the first such organization was the New York Society Library (founded in 1754), closely followed by the Boston Library Society. Similar paid libraries popped up around the country over the next century, and some still exist today as literary societies or social organizations. Meanwhile, in the seventeenth and eighteenth centuries, the literary salon became quite popular. Salons proved an excellent means for women to gain the intellectual stimulation and autonomy they sought. Women would host the events and invite their female friends. Usually a male luminary would be invited to be the guest speaker for the evening. Eventually salons became gatherings for leading socialites, intellegentsia, and politicians. The women who attended earned the nickname "bluestockings," which by 1863 had come to mean "pedantic or ridiculously literary ladies," at least according to the 1863 New American Cyclopedia. The first American book club as we think of the groups today was formed in 1877, in Mattoon, Illinois. Unlike the salon, this book club was open to members of the community, regardless of socioeconomic status or educational background. The book club came to be seen as a means of giving the working class access to higher culture and education. Boston's Saturday Evening Girl's Club, founded in 1899, catered to the intellectual needs of working-class women and girls in the city's north end, who usually had little or no access to formal education. Improvements in printing technology both fueled interest in book clubs and supported it. In the 1870's and 1880's, books were increasingly sold by subscription. And from 1880 to 1900, three times as many books were published as were published before the Civil War. Then the 1920's brought new economic growth, and the book club acted as a sort of doorway to mainstream social progress. The Literary Guild was founded in 1921; the Book-of-the-Month Club in 1926. By 1947, there were over three million book-club members in America. That year, the Great Books Foundation was launched by two University of Chicago scholars. Its aim: "the noble work of self-improvement." The Foundation offered guided discussion on canonical texts. Then in 1951, Columbia University professors Lionel Trilling and Jacques Barzun teamed up with celebrated poet WH Auden to start the Readers' Subscription Club, whose purpose was, in the words of Barzun, "to create an audience for books that otehr clubs considered to be too far above the public taste." Thus book clubs had again veered back to the scholarly elite. But America's level of education was also changing. In 1920, there were 600,000 people enrolled in college. Only thirty years later, that number had ballooned to more than two million. Thus, that lofty goal of democratizing high culture, a popular ideal of the late nineteenth and early twentieth centuries, had essentially been attained. A correlation of national bestsellers, book club selections, and critically acclaimed literature indicates that more and more book clubs were in fact choosing "high brow" books. Today, thanks to the internet, book clubs can meet both in person and online. It's difficult to count exactly how many people participate in them. For collectors, the designation of "Book Club edition" can be a confusing one. A book club edition may or may not be a special edition issued just for members, and it's usually not the first edition. Thus, the books don't generally garner much interest among serious collectors. But they can be terrific reading copies or a great place to start for new collectors who are interested in modern first editions. It's not uncommon for a book club edition to be marked as a first edition or first printing--because it could indeed be the first printing of the book club edition, but not the first printing of the trade edition. So collectors must track down identifying marks for the first trade edition and compare it to the book club edition. Since it was founded in 1926, the Book of the Month Club has been incredibly popular. The club offers its members several selections each month, and these generally include a few books from frequently collected authors. These points can be used to identify Book of the Month Club editions, along with editions from a few other book clubs. Book of the Month Club books usually bear a small square, circle, or other geometric shape on the lower right-hand corner of the back cover. In the past that mark was printed on the cover cloth, and later it was debossed (indented). In the gutter of the last few pages of the book, there's often an alphanumeric sequence printed in Book of the Month Club books. The dust jacket may bear some reference to the Book of the Month Club (or other book club). This reference often appears on the top or bottom of the front or back of the dust jacket flap. Meanwhile, book club editions often have no price printed on the dust jacket, unlike trade editions. Book of the Month Club books usually lack headbands, which are the small decorative band (usually made of cloth) that are fastened inside the top and sometimes inside the bottom of the book's spine. Book of the Month Club books are also not generally stained or colored on the top edges of the pages. Trade editions often use heavier paper and cover stock than book club editions do, so book club editions often feel lighter than trade editions. In most cases, book clubs simply buy trade editions from a publisher's general run and resell them to members without altering the books or their jackets in any way. This means that book club editions are the same as trade editions. They can be identified as first editions simply by consulting the publisher's statements for first edition identification. In other cases, book clubs are large enough to make changes to the books. The Episcopal Book Club: From 1980 to 1984, trade editions were used for book club editions. They still bore the publisher's prices on the dust jackets. They also usually had a club emblem and corporate name inside the dust jackets. These may also have occurred on the front cover, along with the words "Selection of the Episcopal Book Club." The Fraggle Rock Book Club: In a 1988 statement, the Fraggle Rock Book Club issued a statement that Weekly Reader books were identified on the back cover, the spine, and the copyright page. They also lacked an ISBN and a retail price. These book club editions are also a different size and printed with a different paper stock than the trade editions. The Muppet Babies and Weekly Reader Book Clubs followed the same convention. Guideposts: In 1988, Guideposts issued a statement that most Book Club and Book Service selections bear a cross enclosed in a circle on the book's spine and on the dust jacket. The Guideposts registered name and "Carmel, New York 10512" are frequently printed on the back of the dust jacket. The Artists Book Club LTD (United Kingdom): According to the 1988 statement, the Artists Book Club did not have special editions from suppliers, but rather bought publishers remainders if the book was a new title, or publisher's stock for backlist items. Nothing would distinguish the Book Club editions from the trade editions. 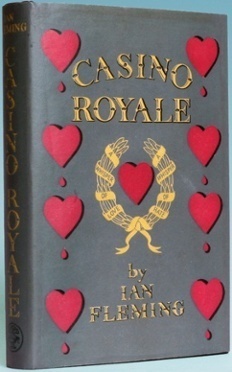 If the quantity ordered is sufficient to warrant the extra cost (that is, at least 1,500 copies), the Book Club colophon appears on the jacket spine and possibly on the spine of the binding; and the Book Club name appears on the title page where the publisher's name normally appears. The Book Club name also sometimes appears on the verso of the title page with a separate ISBN number.